The renaissance of television means at this moment in time, there are a number of television shows producing similar content. Sadly, the absence of originality and a culture of ‘safe bets’ has filled television airwaves with carbon copies of the same stories; from police procedurals to family dramas to run of the mill comedies, duplicates and sometimes triplicates of stories are always on air at any given time. So when a show comes around and delivers something new in a manner that hasn’t been overdone on American television, people usually take notice. The Showtime TV series – Shameless is one of such shows, which pleasantly surprised viewers with its uncommon plot. Shameless has been on the air for over eight seasons and currently holds the record as the longest running original show on the network. Just like The Office and House of Cards, Shameless was inspired by a British series of the same name. The American version, created by John Wells has been on television since 2011 and has witnessed amazing success. Shameless can be classified as both a comedy and a drama, simultaneously making the audience laugh while reminding viewers of the stark reality many families face. Shameless is a story about the life of Frank Gallagher, his leadership (or lack of it) as a single father tasked with the responsibility of raising six children. Frank typically abandons his fatherly responsibilities in favor of excessive drinking and this creates misadventures that force the children to grow up quickly and learn to take care of themselves. The children’s upbringing is coordinated by Frank’s oldest daughter, Fiona who, despite being in need of parenting herself, substitutes as both the father and mother to her younger siblings. The show explores the effects of alcoholism on members of the family. One of the show’s standout storytelling quality is that it focuses on an issue a majority of people assume does not exist – it shows the life of an underprivileged white family in a middle-class environment as opposed to trailer parks or predominantly black communities. Not only does it avoid the cliché representation of families affected by the parent’s alcoholism, but it also gives a jarring reminder to viewers about the possibilities within their privileged communities. The show, whose first iteration aired on British Television, is a semi-autobiographical account of Paul Abbot’s life growing up. He is credited as the executive producer in the US version. Shameless began its development in 2009, originally meant to be aired on HBO due to show developer, John Wells’ deal with the cable network in January 2009. However, the show eventually moved to Showtime. A pilot episode was ordered and shot in December of the same year. The pilot episode cast William H. Macy as the lead character of the show, the alcoholic Frank Gallagher. Along with him came Emmy Rossum and Justin Chatwin who plays the oldest daughter, Fiona and the undying love interest of Fiona, Steve Wilton. After the pilot was filmed, Showtime approved the production of the show in April 2010. After getting a green light, the show needed to expand its cast members and it cast the following actors and actresses in various roles. The veteran actor plays Frank Gallagher, a chronic alcoholic father of six children. Although he’s a college graduate of psychology, Frank refuses to work and instead dedicates himself to developing ways to swindle the welfare system which he lives on. While he’s the biological father of 6 of the 7 children in his care, they have different mothers due to Frank’s compulsiveness of sleeping with any available woman. The seventh child in his care, Ian is Frank’s brother’s child. Frank is not respected by his children, who are mostly uneducated due to Frank’s lack of a job. William H. Macy‘s performance on the show has earned him various nominations in major Awards. He has also won a notable amount of awards including the Screen Actors Guild Award for Outstanding Performance by a Male Actor in a Comedy Series. Emmy Rossum plays the challenging role of Frank Gallagher’s eldest daughter, Fiona Gallagher. Abandoned by both the father and mother, Fiona takes on the responsibility of raising her siblings. As an effect of raising five younger siblings, she is forced to drop out of high school in her junior year. In order to support her siblings and take care of their needs, she takes on minimum wage jobs. Fiona is characterized as a selfless person who looks out for others before she looks after herself. Her character progression on the show sees her lose that character trait due to the lack of appreciation shown by her family members. Like William, Emmy Rossum – who is a co-lead actor on the show, is one of the show’s most recognized stars by award bodies. She’s been nominated multiple times by different Awards organizations but unfortunately, she is yet to win one. On Shameless, Jeremy plays Phillip ‘Lip’ Ronan Gallagher. He is the most academically inclined of Frank’s children. Among all the children, Lip is one of the closest to his father, helping him design various money-making schemes. As is typical in real life families where there is often an exceptional child that suffers the tragedy of being a part of the delinquent family, so is Phillip in the Gallagher family. 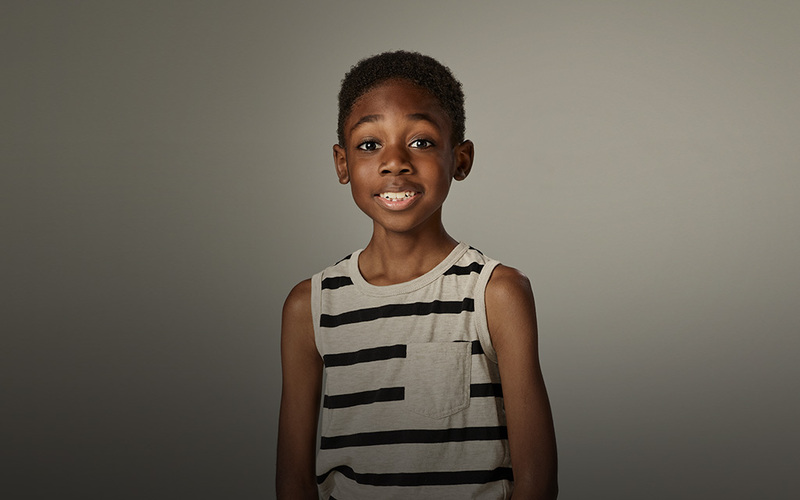 Lip is considered a whiz-kid who speaks multiple languages. However, as a result of his exposure to Frank’s alcoholism, he struggles with alcoholism and bad decisions himself. Cameron plays the third child in the Gallagher family, Ian Gallagher. Although he’s not Frank’s biological child, he’s considered his child. Ian suffers from Bipolar disorder and he is also gay. As a result of his bipolar disorder, he exhibits erratic behaviors and eventually ends up in prison. Emma plays Deborah Jean Gallagher, more commonly addressed as Debbie. She portrays Debbie as a reserved soul who is very understanding. Out of all the Gallagher children, she constantly forgives her father’s neglect and their mother’s absence. Having a more mature mind, Debbie has trouble making friends. Over the course of the show, her reserved and mature character gives way to a more reckless life. She embraces sexual promiscuity and eventually gets pregnant and becomes a single mom. Ethan plays Carl Gallagher, the second youngest Gallagher child. Carl is a psychotic young child who takes delight in mutilating toys and killing stray animals. However, unlike the rest of the Gallagher children, his character development goes in the opposite direction, starting off worse and gradually becoming a more responsible and productive human being. Christian plays Liam Gallagher but he wasn’t the only actor to play the role on the show, however, he’s the most recent and most notable actor to take on the role. He appears in season 8 and season 9 of the show. Liam is an African American son of Frank Gallagher who is believed to be a result of Frank’s mother’s infidelity with a black man. As the youngest child, Liam is pretty innocent compared to the other Gallagher siblings. Other prominent cast members of the show are Justin Chatwin who plays Steve Wilton/Jimmy Lishman, a gangster who falls in love with Fiona Gallagher. Joan Cusack plays Sheila Jackson, a love interest of Frank Gallagher, Steve Howey plays Kevin Ball and Michael Patrick McGill plays Tommy. As a show with an expanded world of differently connected characters, Shameless has a number of guest roles by well-known actors some of which include Kerry O’Malley, Tyler Jacob Moore, Pej Vahdat, Jane Levy, Courteney Cox, Dermot Mulroney, June Squibb, Katey Sagal, among others. Twelve episodes of the first season were ordered after the pilot. Since then, the show has maintained its twelve episodes per season formula which has helped it maintain cohesive storytelling. The first season of the show debuted on the 9th of January 2011 and it was watched by over 980,000 viewers. The show’s premiere was the biggest premiere of a show for the network since 2003. It maintained the keen interest of viewers and finished the first season with an average viewership of 1.18 million viewers per episode. Shameless was moved to the 9pm Sunday slot (it originally aired at 10 pm Sundays) for the second season, through to the ninth season. The change has helped improve the show’s ratings, with its least average viewership being 1.36 million viewers since the change. It reached its highest average viewers in the fourth season of the show with 1.71 average viewers. For the ninth season, the network expanded the show to 14 episodes, splitting the season into two. The ninth season premiered on September 9, 2018. Since its premiere, Shameless has been rated as one of the best shows on television. Its consistent positive critical reception and high viewership have helped it amass over 30 award nominations for the show and its actors since it started airing on television. The show itself has been nominated four times for Best Drama or Comedy series across different awards.